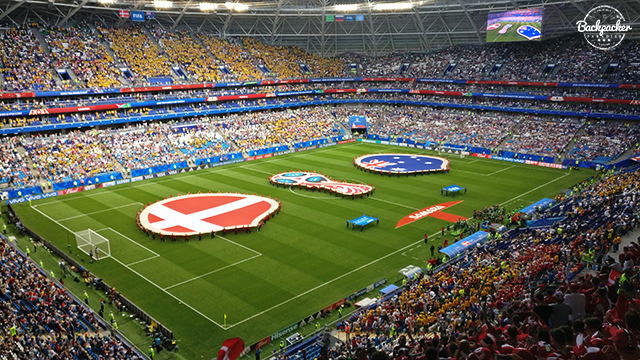 Yesterday Denmark played against Australia in the 2018 Edition of the Fifa World Cup. 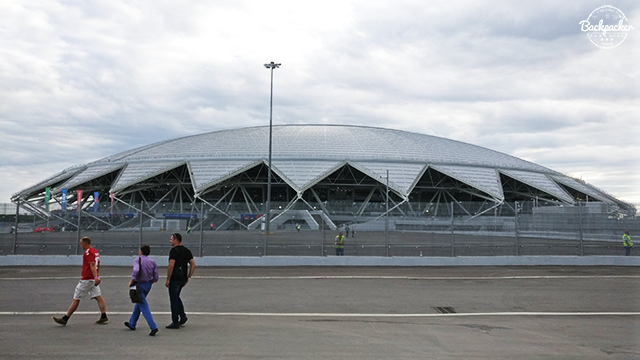 The clash went down in the Samara Arena, so we had to catch a flight from Saint Petersburg to the city of Samara. Just 7 minutes after kick-off Nicolai Jørgensen passed it to Christian Eriksen who delivered an absolute screamer and we could barely contain ourselves in excitement. This was exactly what we needed to qualify for the knock-out stages. Unfortunately the newly introduced VAR-technology was used just before half-time and a penalty was given to the Aussies. Schmeichel couldn't save us this time and with no goals in the second half we had to leave Samara Arena with a draw. The Russians seemed to be cheering for us and throughout our entire stay in Russia the Russian people was extremely welcoming and friendly. 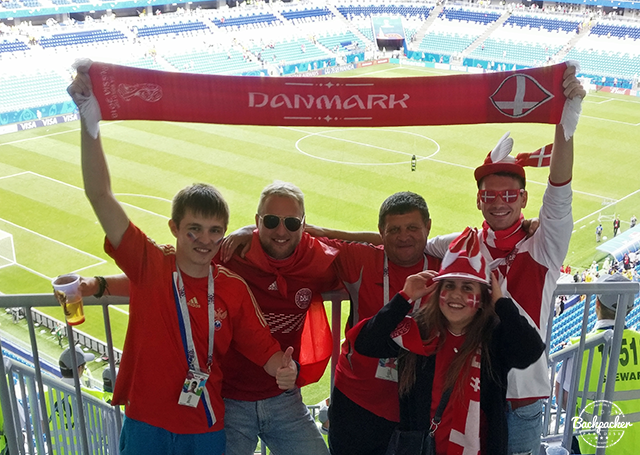 After the match we decided it was time for a little sightseeing, before the next match was on at the Fifa Fan Fest. First stop was at the Temple of George the Victorious. The temple, which is actually a church, is topped with golden domes and lies with one side facing Glory Square and the other overlooking the Volga River. Quite stunning. The Monument of Glory is also located on Glory Square and the statue on top of the pedestal is overlooking the Volga River. 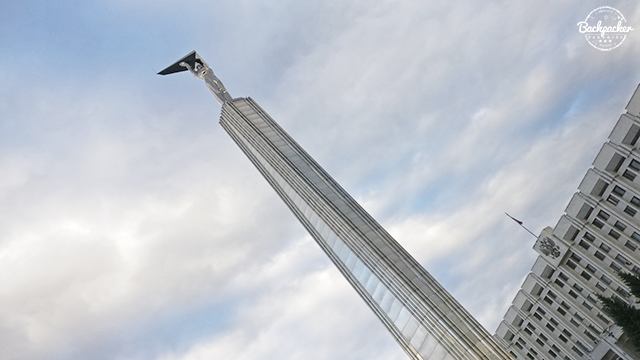 Dedicated to the workers of the aircraft industry and one of the most prominent landmarks and symbols of Samara. The Volga River is the longest river in Europe. Eleven og the twelve largest cities in Russia have access to the Volga River, including capital city; Moscow. There are plenty of places to get a great look towards this enormous river running through Samara. 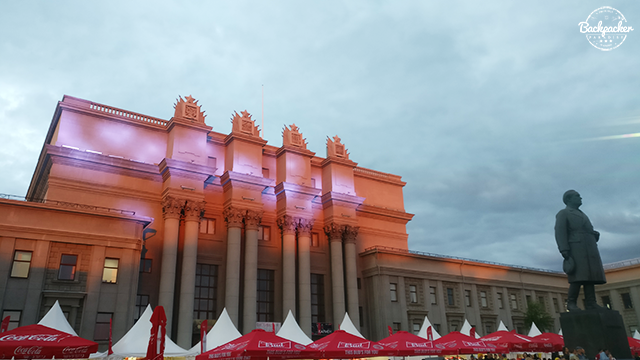 Samara Academic Opera and Ballet Theatre is one of Russia's biggest state theaters and during the Fifa World Cup 2018, the huge square in front of the building filled a role as the Samara Fifa Fan Fest. We had a very good time here and it was by far my favourite Fan Fest throughout all the Russian cities we visited. 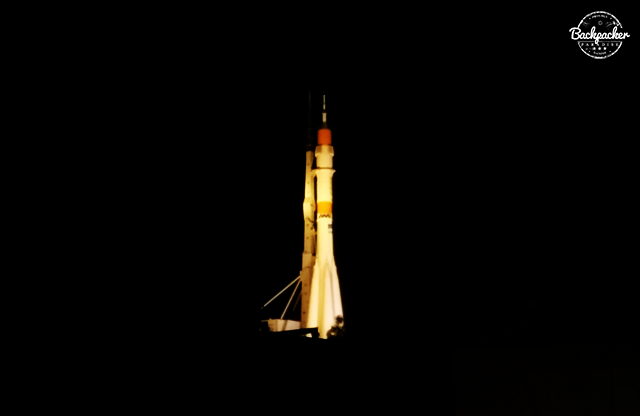 Unfortunately we didn't have time to visit the Samara Space Museum, but luckily we passed by the landmark space rocket on the museum building which is lit up at night. We happened to pass by the Telecenter as well, which has a large antenna lit up at night too. Space engines are stilling being produced in Samara today. 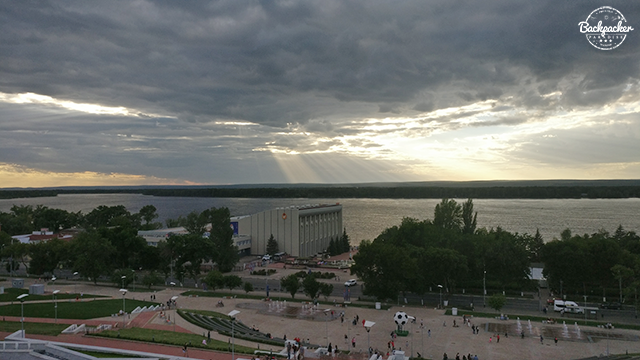 This morning, after the match, we had to leave Samara as we we're headed for Moscow and the final group stage match against France. 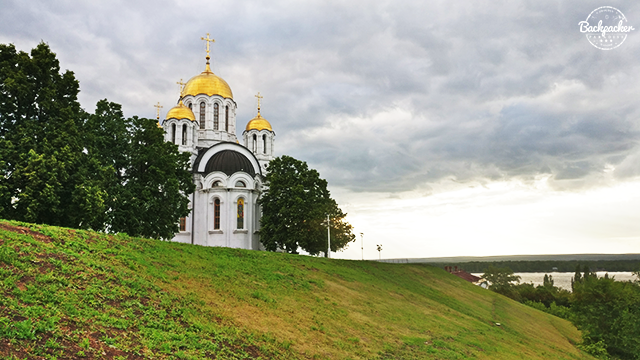 Even though I've only spent a little more than a day in Samara, it's my favourite city so far. 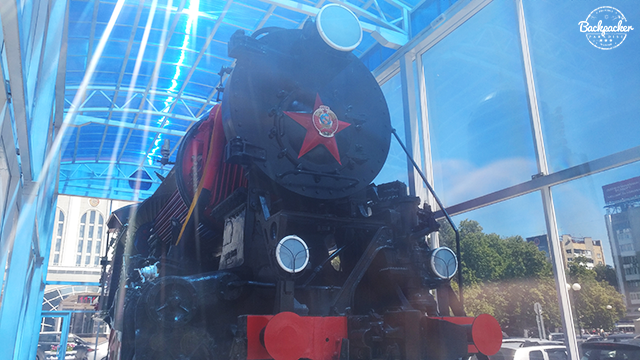 The train station in Samara was quite an amazing structure as well and there was an old steam locomotive on display, which was the last spot we got to see. So long Samara.